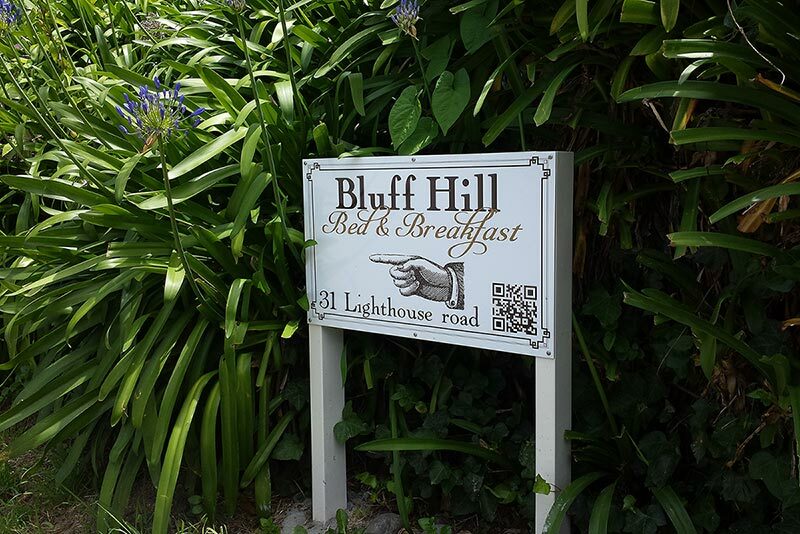 Follow the signs in town to Bluff Hill Lookout. Once you have arrived at Lighthouse Road, the road will go down, at the lowest point there is a sharp U-bend to the left. 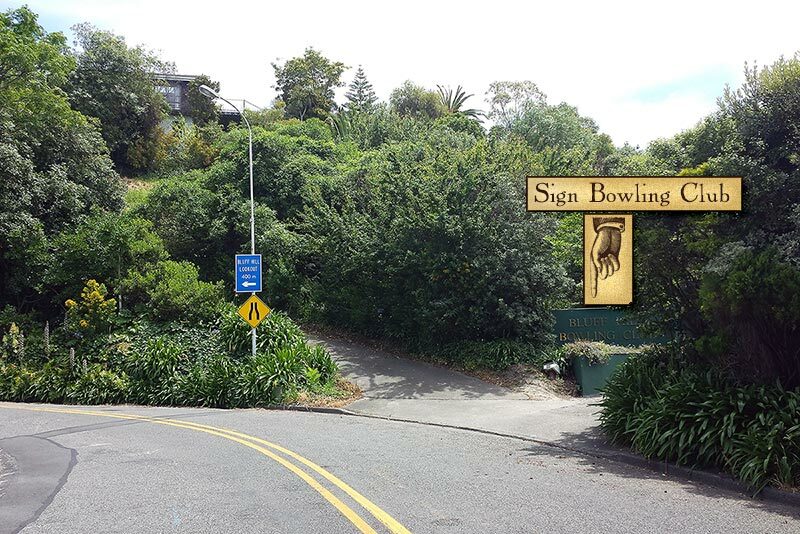 In this bend you will see, on the right side, a sign of the Bluff Hill Bowling Club. 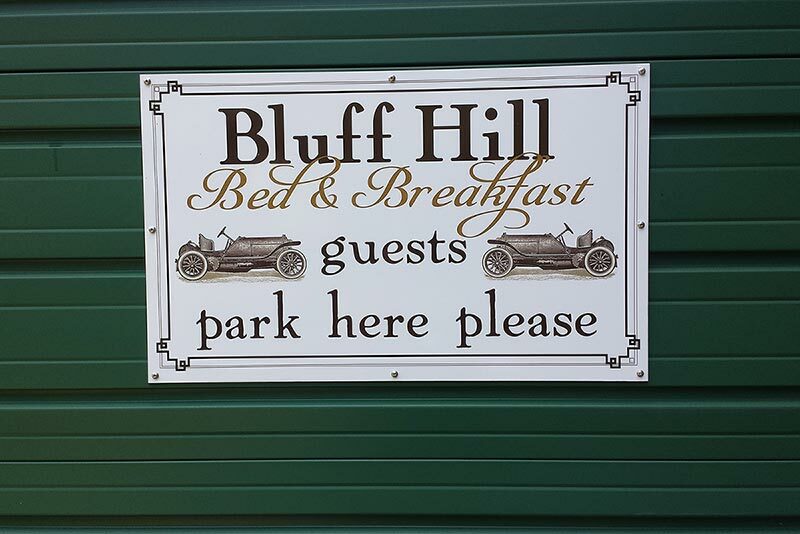 On the left side, between the road leading to Bluff Hill Lookout and the house on the corner, you can see the entrance to our drive way, disappearing in the green. 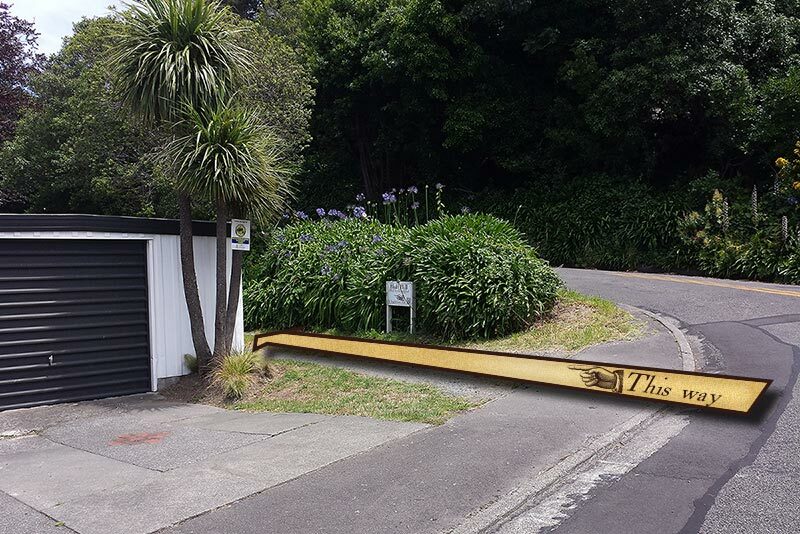 On the end of the drive way (120meter-400feet), there is a sign where to park your vehicle. Check out the pictures below.